New York: Pakistani authorities should conduct a prompt and impartial investigation into the killing of journalist and rights monitor Zaman Mehsud, said Human Rights Watch (HRW) on Thursday. Gunmen fatally shot Mehsud on November 4, while he was riding his motorcycle in the Tank, Khyber Pakhtunkhwa. “We killed him because he was writing against us. We have some other journalists on our hit list in the region, soon we will target them,” Taliban commander Qari Saifullah Saif has claimed the responsibility for the attack in a statement to Reuters. “The Taliban’s claim of responsibility for killing of a journalist showed a cruel disregard for human life and free speech,” said HRW Asia Director Brad Adams. “Pakistan’s government needs to move to bring the perpetrators of attacks on journalists to justice if these crimes are to stop,” he stressed. Mehsud was a monitor for the nongovernmental Human Rights Commission of Pakistan (HRCP) in South Waziristan. Tehreek-e-Taliban Pakistan (TTP) may have killed Mesud for his reporting on the armed conflict and human rights situation in South Waziristan, the HRW said. The attack occurred a day after the International Day to End Impunity for Crimes Against Journalists. Pakistan remains one of the most dangerous countries in the world for journalists. More than 35 journalists and media workers have been killed in Pakistan because of their work since 2010. On the Committee to Protect Journalists’ Global Impunity Index, Pakistan was ninth on the list of countries in which the most journalists were murdered without the attackers being prosecuted. Pakistani journalists routinely face harassment, intimidation, assault, kidnapping, and arbitrary arrest and detention. On September 9, unidentified assailants gunned down Aftab Alam, a senior journalist, near his home in Karachi. In April 2014, unidentified gunmen attacked Hamid Mir in Karachi. In January 2011, Wali Khan Babar, a 28-year-old reporter, was shot dead in Karachi. While the trial court convicted those accused of killing Babar, at least five people associated with the investigation, including a witness, police informers, police officers, and a prosecutor, have been murdered. In 2011, Saleem Shahzad, a reporter for the Hong Kong-based Asia Times Online and for Adnkronos International, the Italian news agency, disappeared from Islamabad. His body, bearing visible signs of torture, was discovered two days later. The circumstances of the abduction raised concerns that the ISI was responsible. The commission of inquiry constituted to investigate the killing failed to identify those responsible. The Pakistani government has recently adopted measures that further constrict the space for free expression, Human Rights Watch said. On October 1, the government announced a restrictive policy on international non-governmental organisations (INGOs), mandating that they register and obtain prior permission from the Interior Ministry to work in the country in specified fields and geographical areas. The INGO policy has provisions that facilitate arbitrary restrictions on the rights to freedom of association, expression, and assembly, rights protected under the Pakistani constitution and international law, it added. “The Pakistani government, by clamping down on free expression and fundamental rights, is creating an environment that makes journalists and human rights defenders even more vulnerable,” Adams said. 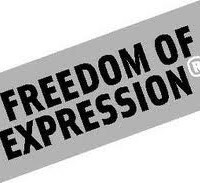 “The first step toward protection of journalists and rights defenders is to enable an environment of free expression. The Pakistan government needs to start by providing protection for at-risk journalists, while revising and repealing its restrictive laws and policies,” added Adams.